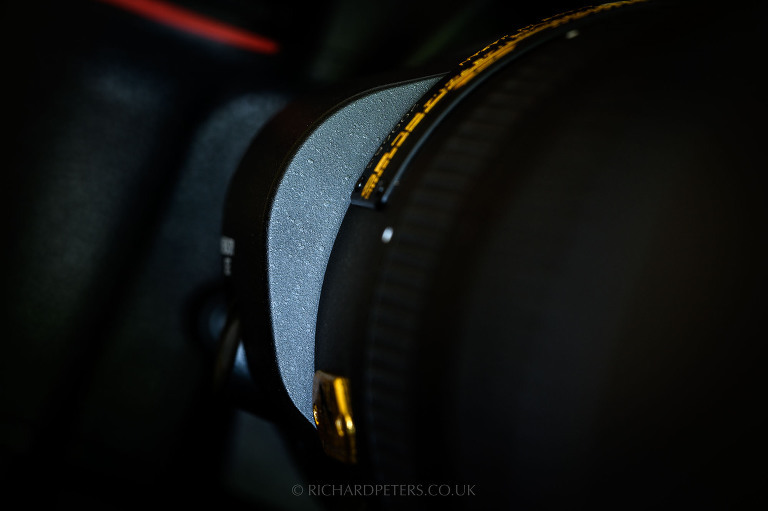 My review of the Nikon 180-400 TC1.4 E FL comes from a slightly unusual angle. I had the lens to shoot with briefly before the world even knew it officially existed. Then I was able to shoot with it again, months later, once it had been officially released. There can be fewer highlights as a wildlife photographer than being the first in the world to field test a new piece of highly anticipated equipment. Equally, there cannot be many other requests that can be filled with just as much expectation as privilege. That’s exactly the position I found myself in, after being asked to shoot with the update to Nikons 200-400, out in the wild, to produce images that showed off very specific characteristics, for the initial global launch. No pressure there then. So there I was, with the unique opportunity of using the AF-S Nikkor 180-400 f/4E TC1.4 FL ED VR, to use it’s full name, which I’ll only do that once, months ahead of it even being announced, let alone released (and yes, reading the internets speculation for a lens you actually have sitting on your desk is a strange feeling). Since then, the lens was announced and I had a lot of people asking where my review is. So why the delay in writing this? The answer is simple. Because I was shooting with a sample that wasn’t a full production version, the caveat to this incredible experience and opportunity was nobody could see the lens whilst I was using it, nobody could see photographs of it and, as it was supplied with a D5 to take all the images, I couldn’t take photos with it, using my own cameras. After spending time with it 5 months ahead of release, I wanted to hold off on my review until I could get my hands on a production sample. So this is a review I had hoped to publish much sooner. Between awaiting production sample availability, that tied in with a busy schedule, and the time it takes me to write these things, it was pushed back until now. Keep an eye out for arrows on some of the images, which indicate a slideshow. Clicking the arrows will take you through comparison images. My Nikon 180-400 TC1.4 review and thoughts are based on using the lens in two locations. From two different perspectives and parts of the world. This really allowed me to understand how the lens performs and handles, both in terms of shooting and air travel. The original MKI version of this lens was also my first ‘proper’ lens and one that I used for many years, so on a personal level it was hugely rewarding to put this latest version to the test. Location 1. Yellowstone National Park and the pre-production model. The issue with field testing any new bit of equipment before it’s officially known to exist, is that it can’t be seen, by anyone, anywhere. This is a problem. Trying to choose a location in which to shoot images that will showcase the performance of a lens for wildlife, means picking a location which will guarantee some good sightings in a relatively short space of time. 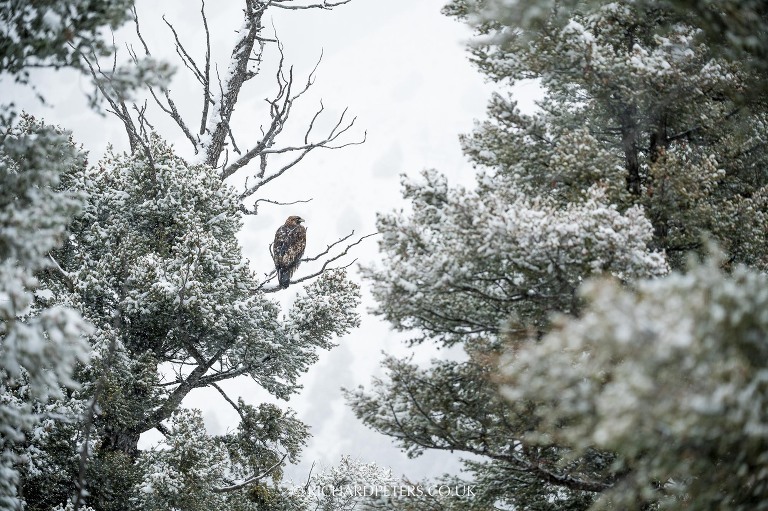 No easy task, as anywhere that guarantees good sightings also guarantees other photographers. With that conundrum in mind I decided the best option would be to take the lens to Yellowstone National Park. The thinking was that it has a good amount of wildlife but equally, the space I need to be away from others. It also proved a good opportunity to use the lens in cold conditions. For this shoot the lens had all distinguishing markings covered up, plus a LensCoat waterproof cover over the top for good measure. Even then, on several occasions I found myself standing alongside other Nikon users and trying to avoid steering the conversation towards kit, to avoid the question of what I was shooting with. Thankfully nobody ever did during the 2200+ miles we drove in 5 days looking for wildlife. Location 2. Skomer Island and the production model. 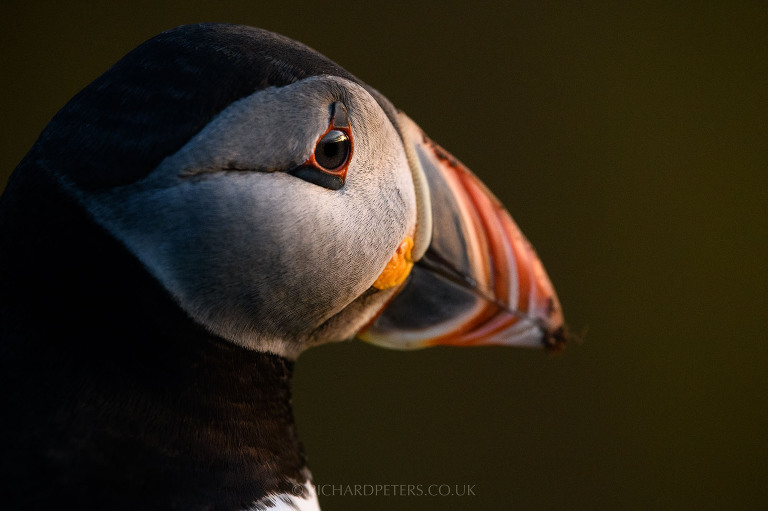 My second outing with the 180-400 TC1.4 came several months later, with the opportunity to take the lens on our Sensational Skomer workshop. With this shoot there was no pressure to obtain specific images and now, the more people that wanted to see the lens and ask questions the better! Shooting with my own cameras and with no requirement to show off specific characteristics of the lens, it was a more relaxed shoot. It also provided me with the opportunity to see if my fond memories of the pre-production model held-up several months on, with the honeymoon period long over. So with that backstory covered, here are my thoughts on Nikons 180-400 TC1.4 E FL, in my typical type of review that covers real world considerations for practical and technical aspects. The overall look of the 180-400 is more modern and sleek than older generations. All the switches for VR, Autofocus etc are grouped into one panel now and we gain more sturdy and less ‘flappy’ strap loops alongside a far more comfortable, rounded, padded lens foot. Of curious note is the front filter, which now has an FL coating, is not user removable compared to the older models. 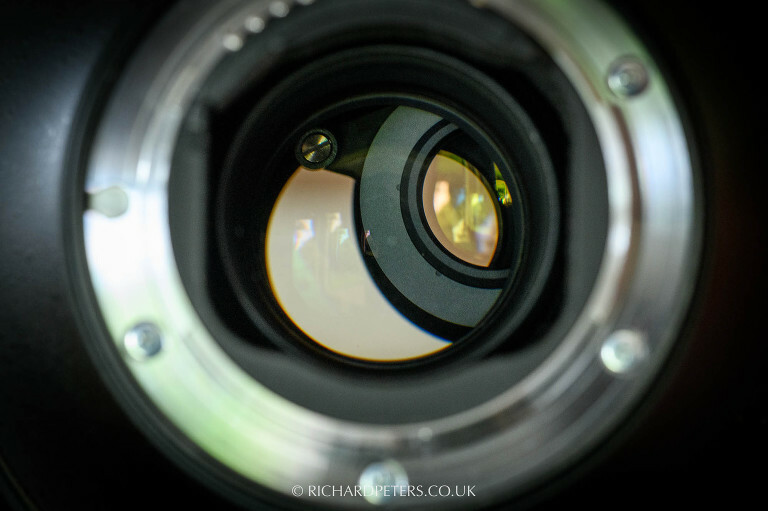 The front diameter of the lens is also ever so slightly larger on the 180-400 by a few mm’s. The 180-400 offers more logical control layout and modern ergonomics. Comparing the newer model to the older 200-400 VR MKII, the two lenses are close to the same. With a weight of 3.5kg the newer lens is a fraction heavier than the model it replaces, which weighed in at around 3.36kg. However once you add a 1.4TC to the older lens, it pushes the weight up to around 3.55kg. Added to this, the Nikon 180-400 TC1.4 is also ever so slightly shorter than the older 200-400. Again add a 1.4x TC to the older lens and the difference becomes larger still. So from an engineering standpoint, it’s good to see the addition of building in a teleconverter has been done so without adding any substantial bulk. That’s very important because cramming as much camera kit as you can in your hand luggage is crucial for air travel, as is being able to put the lens in a bag with camera attached, when you’re out shooting. For full technical specs on the 180-400, head over to Nikon’s product page. On that note I’d have liked to see some weight saving, such that we have seen with the 400, 500 and 600E FL lenses. There’s no doubt in my mind though that if this was possible, it would have been done. So for now we can but dream of a sub 3kg lens of this type! If you’re used to smaller lenses and this is to be your first exotic lens, one of this size may take some adjustment. If you’re used to such lenses or currently use something like the 200-500 with its extending barrel, you’ll be more familiar and accustomed to longer lenses. Coming from my favourite lens, the larger and slightly heavier 400 E FL, travelling with the Nikon 180-400 was a pleasure. It fit very comfortably in my ThinkTank Photo Airport International roller bag and all of my most used rucksacks. This means taking the lens on international flights is a breeze. The only issue of note is on regional jets in America, where none of my bags would be small enough for hand-luggage. This isn’t a fault of the 180-400 of course but it’s a point of note that air-travel on regional jets is difficult with any camera equipment. The 180-400 comfortably fits in many bags, body attached. 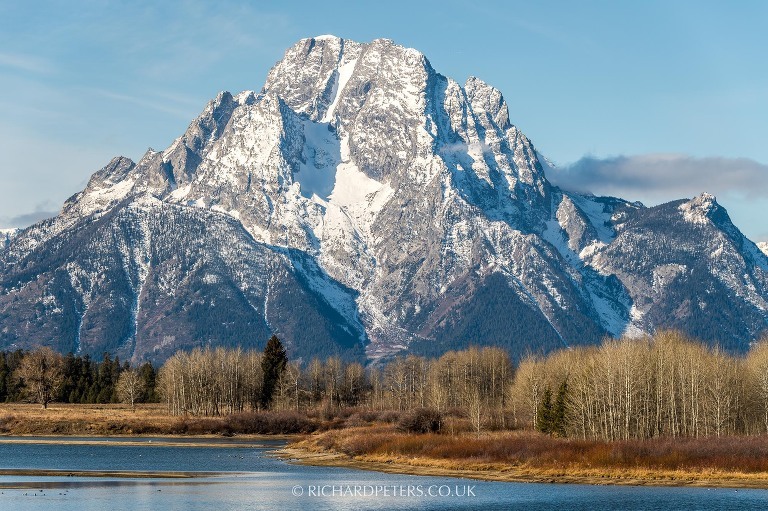 Flights aside, in Yellowstone we drove over 2200 miles in 5 full days of shooting and I spent a lot of that time doing so with the 180-400 TC1.4 from both the passenger and rear seats of a hire car. It’s there that I really appreciated how, for a large lens, the 180-400 is exceptionally manoeuvrable. Resting on the window edge, hanging out the windows and generally swinging the lens around was very easy in this confined space. The ability to flip a teleconverter in and out making that all the more apparent, versus having to fumble around with an external one in confined areas. 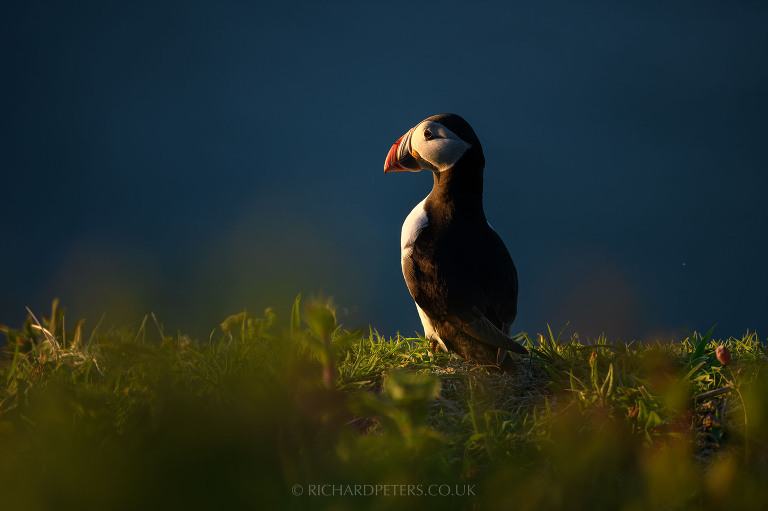 Equally over our two day Skomer workshop I spent a lot of time with the lens either in my backpack or handholding as I walked around the island. When shooting I crawled around on the floor. During all this I never found the lens cumbersome to work with and thanks to its teleconverter flexibility and more ergonomic design, it was a pleasure to use for extended periods. All lenses in this upper end of the optics scale are designed for use in harsh conditions and weather. Because the lens barrel doesn’t extend, and with the ability to magnify the image at a the flick of a lever, harsh weather conditions are no match for the 180-400. Shooting a grizzly bear with cub in the snow, puffins from a very dusty floor on Skomer or had I been in the rain, the lens would always offer a substantial advantage over those that either have an extending barrel or require an external teleconverter. I’d love to take it to Africa, where I can only dream of coming home with a clean sensor and images that don’t require heavy spot removal, after weeks of taking teleconverters on and off, such as with my 400! Having a built in 1.4TC is not something new. Nikon were not first. We all know that. As is now familiar the 180-400 features a small bulge in the lens barrel near the mount, where the teleconverter is housed. Activating it is simple. A lockable lever gives quick and easy access to engaging 1x or 1.4x magnification. The lever operates with a satisfying soft clunk and can be done so at any time whilst you’re shooting (although there is a recommendation to not engage the TC whilst you’re autofocusing). Again this is nothing new. What Nikon have done though is put their built in teleconverter on the right-hand side of the 180-400 barrel. That’s very important. Such logical placement means regardless of using this lens on a tripod or, especially, handholding, having the teleconverter switch right there near the shutter release is ergonomic perfection. Imagine handholding and having to move your left hand from supporting the front of the lens, down to near the body to engage the teleconverter, all whilst trying to track the subject in the viewfinder. 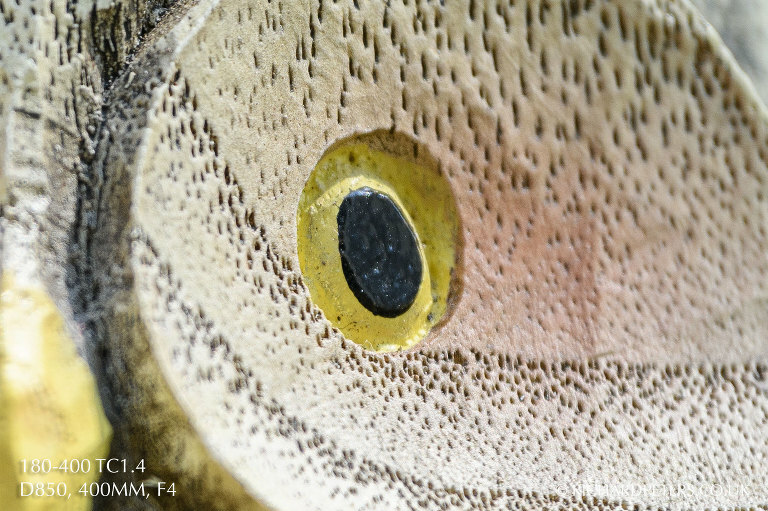 Now imagine being able to do that without having to move your hands at all, instead carrying on supporting the lens properly so you can easily continue to follow your subject or zoom in and out as you engage 1.4x magnification. Regardless the shooting position I found myself in, or the support used, I could easily operate my shutter release, autofocus, aperture, shutter speed, exposure compensation, ISO and engage additional magnification, all with my shooting hand, at any time, without having to compromise my grip, shooting position or remove my eye from the viewfinder. I could just concentrate on the subject at hand. That’s a big deal for wildlife photography where you often have to react quickly. Even more so for a lens whose main selling point is its flexibility. One interesting note is Lightroom reads the lens as a 180mm to 400mm f4 lens without the teleconverter in place, and a 250mm to 550mm f5.6 lens with it engaged. However, add an external teleconverter to obtain 550mm and it registers as a 180mm to 400mm lens again. But more on adding external TC’s later. Can you handhold the 180-400? You can. Actually I would say yes, I can. For brief periods of time. Extended shooting will always favour a tripod but it’s a question that you can only answer for yourself. However it’s worth noting that where I mentioned I wish the lens was lighter, I found it to be better balanced than the older 200-400 and as such, feels easier to manage. Paired with the Nikon D850 it most certainly feels substantial but never overbearing (keep in mind though my go-to lens is the larger and heavier 400E FL). Paired with a lighter body, such as the D500, it would feel slightly more manoeuvrable. In the instance of both of those bodies I would suggest the added grips are a must. For my initial pre-release shoot I had it paired with a D5, which also offered a very well balanced setup. 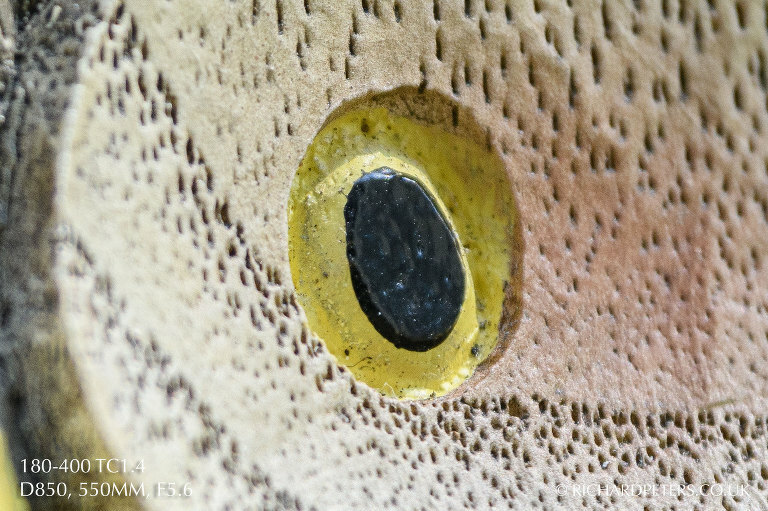 Another small but significant point is the foot on the Nikon 180-400 TC1.4, which has a much more modern, longer, padded, rounded edge design. This makes it vastly more comfortable to hold compared to previous versions, regardless of using the older models standard or small foot. This may seem trivial but after carrying and manoeuvring a lens of this size around for hours, comfort is a priority. Again, some additional weight saving would have helped with hand-holding, but for a lens of this size and weight, it’s surprising just how easy it is to carry about sans bag. On Skomer Island it was never on a tripod. With the exception of trying to photograph puffins flying for 45 minutes, not once did I feel close to fatigued at the end of shooting. I spent most of my time handholding the 180-400. My left supporting hand sat nicely near the zoom ring. This means I can adjust my compositions without having to compromise my lens support. Furthermore the zoom ring doesn’t require a substantial amount of travel to move between the two extremes of 180mm and 400/550mm. It feels far more natural to have the zoom ring within easy reach of your left hand, which typically falls to the front of a telephotos lens when exercising correct long lens technique. Having the flexibility of that zoom, without having to drastically compromise how you brace the camera, is very welcome and allows for you to easily follow moving subjects whilst zooming in and out. Here also the ring swap makes sense compared to the old version. Previously I used to find I would inadvertently zoom in or out sometimes when following a subject as the lens focus ring would rest on the beanbag. Of course, it does mean there is risk of the beanbag adjusting focus now, much like it would with a 400, 500, 600 or 800 prime lens. It’s faster to reengage autofocus than to adjust the zoom though when using a beanbag. There is one situation I encountered in which having focus at the front would be better, which is in heavy falling snow, where autofocus can need a helping hand or to be overridden. In that scenario, when hand-holding, the focus ring would be better suited to the front. Overall however, the ring reversal makes complete sense to me on the 180-400. Just keep in mind if you’re upgrading from the previous version care will still need to be taken as you retrain your muscle memory. Wide open, zoomed in, zoomed out, stopped down. It doesn’t matter where you set this lens you’d be hard pressed to find genuine concern with how sharp the 180-400 is. Any subject that fits across the entire frame, within the depth of field, shows excellent sharpness. That being said, where I first used the lens with a matched Nikon D5, switching later to a production model with my D850 resulted in some initial softness to images. I knew straight away this would be a focus fine-tune issue. I used the automatic fine-tune feature in Live View to set the focus. Doing so gave a value of +12, resulting in a far higher accuracy of depth of field placement. With any new lens I add to my collection, I send both the lens and my bodies in for focus calibration. I did with with my 400E FL, 300PF and 105 1.4. If I owned a 180-400, I’d do it with that too. It’s not always required but I do it for absolute certainty. Should lenses of this value need fine-tuning? The fact the fine-tune feature exists, shows the big manufacturers know occasionally there will be a slight miss-match between a lens and a camera. Not between specific models but between individual cameras and lenses on a case-by-case basis. All that matters is we can correct it if we need to. The 200-400 line has always been a close focusing lens and that carries on with the latest version. With close focus coming down to around 6 feet, shooting at 550mm allows for some excellent close-up opportunities of your subjects. 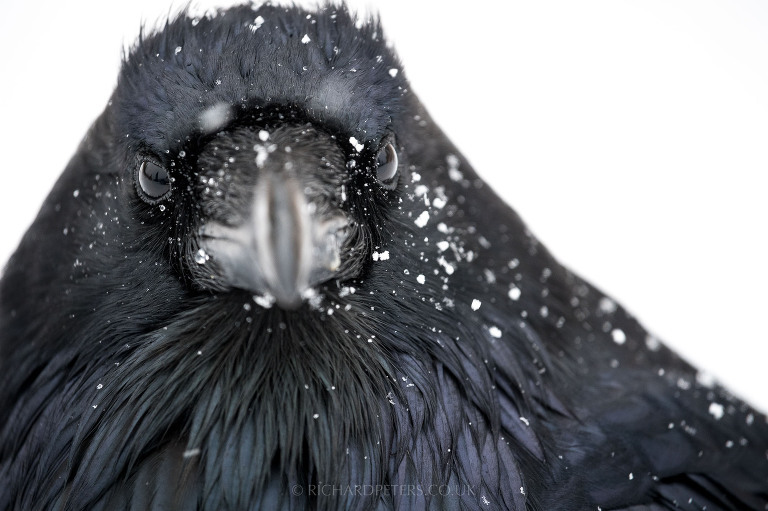 Whilst sat by some roadworks in Yellowstone, a raven landed near the car. This provided me with the opportunity to really put this to the test. 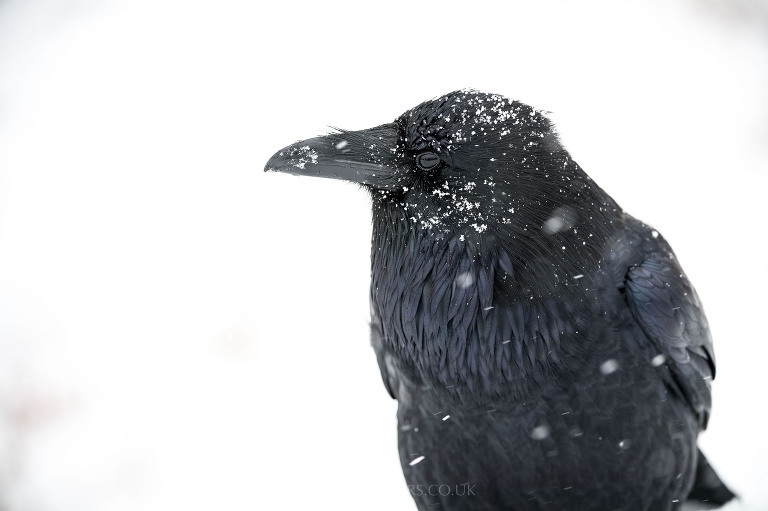 I was able to shoot three quarter length body shots of the bird at 180mm and really close up portraits at 550mm. With snow falling, it also allowed me to do this with ease. 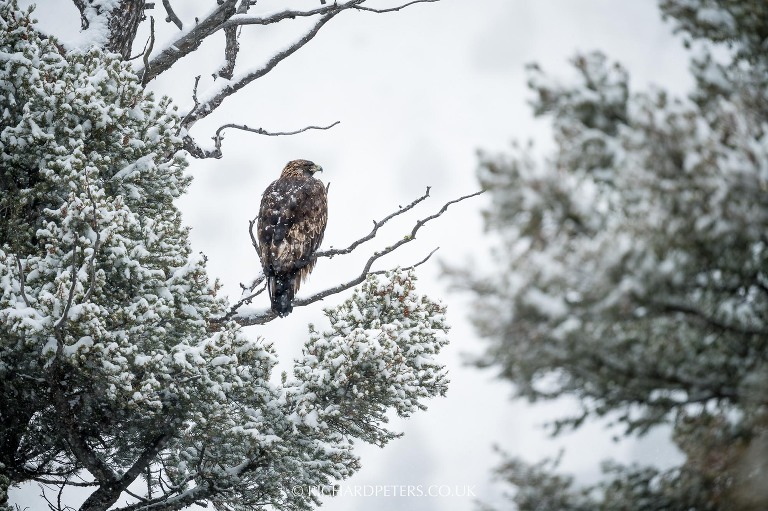 Had I been shooting with the old lens, adding in a teleconverter would have been a cumbersome effort, doing so whilst trying to avoid snow getting in the lens or camera body or even spooking the bird. 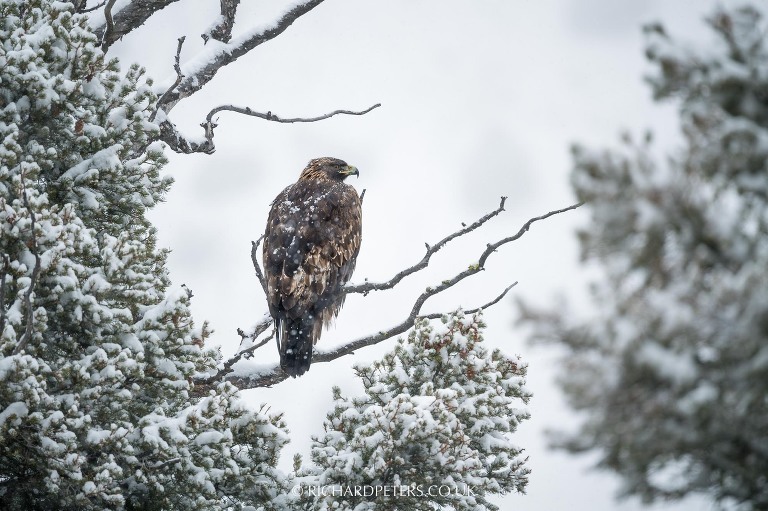 When spotting a golden eagle at the roadside, I was able to use the full range of the lens to go from a wide scene setting photo to a closer, more detailed, portrait style image. Having this large range of focal lengths and close focusing really does make the 180-400 an exceptionally flexible lens for wildlife photography. Equally I was able to get very tight headshots on the adorable and tiny puffins on Skomer Island, where the minimum focus distance really allowed me to switch from full body to headshots in seconds. Such ability is crucial if your subject stops briefly in the perfect light or position. If you shoot smaller subjects, filling them in the frame will pose no problem at all with this lens. Assuming your able to get close enough of course. Engaging the built in teleconverter does have a small impact on image quality. All lenses lose some sharpness when paired with a teleconverter. The 180-400 is certainly no exception. Perspective is the key to understanding this though, as even with that loss of sharpness I’m confident the 180-400 will still vastly outperform almost all other zooms used naked (and even some cheaper primes). Keep in mind though teleconverters tend to show up their effects on sharpness the further away you focus. 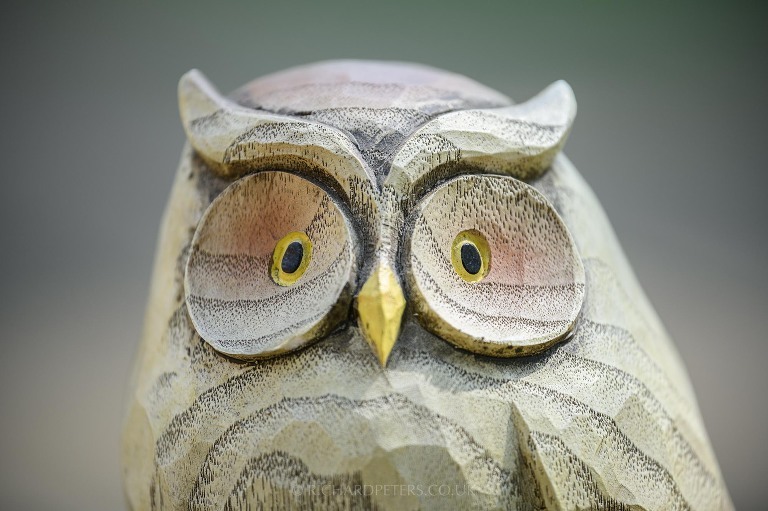 At close-up ranges and minimum focus distance, even at 550mm f5.6, the impact of the teleconverter is minimal. Once you start to focus further and further away that sharpness drops off a little. Stopping down 2/3 to a full stop recovers that loss to a great extent but even with that said I would, and did, shoot wide open without hesitation at 180, 400 and 550mm. Is the Nikon 180-400 TC1.4 sharp at infinity focus? The bigger questions falls on infinity focus performance. It’s no secret older generations suffered here. We can’t escape that, it’s common knowledge. If this new generation lens had to do one thing optically, it was to have better performance at infinity focus. Thankfully, it absolutely does. The Nikon 180-400 performs much the same as all of the recent E FL lens updates, offering exceptional optics not just up close but also at that all important infinity focus. This is very welcome. Subjects photographed at distance now remain sharp and clear. 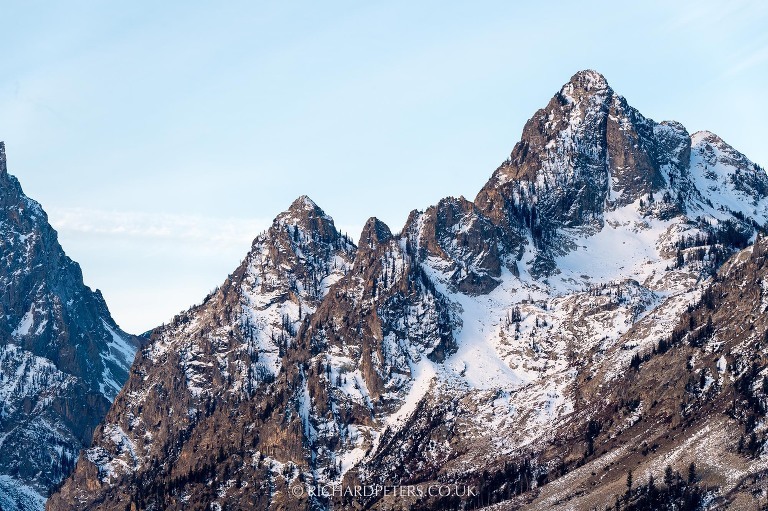 I photographed the Grand Tetons at varying zoom ranges, from several miles away, and the results were stunning. 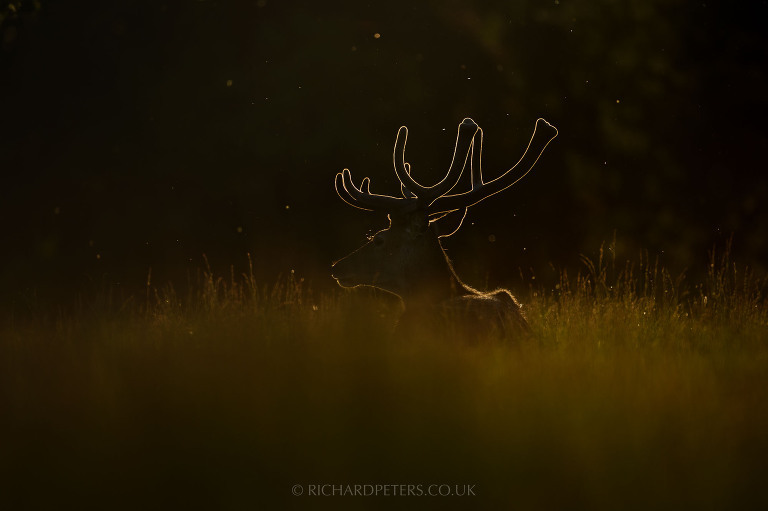 As long as you can avoid heat haze, sharp subjects at any distance can be achieved with the 180-400. Understanding how heat in the air can impact sharpness is key though. It’s all too easy to blame a lens for being soft when in reality the conditions of the day are to blame, or even long lens technique. Sharpness at infinity is now entirely possible, all other conditions being favourable. This is something I thought would be fun to try but I wasn’t really expecting optimal results. I must admit I only briefly put this to the test. Whilst I was away on Skomer I revelled at leaving the teleconverters and 400mm at home to save weight, when actually I wish I’d have considered the addition of the external TC’s to do some more thorough real world testing. Here are some takeaways from adding the TC-14EIII and TC-20EIII and engaging the 180-400’s built in 1.4x TC. This gives you a maximum range of zoom of 250mm f5.6 to 800mm f8. Under a controlled test, with the camera on a tripod and focused at close distance on a static subject, I was actually able to get surprisingly sharp images. I suspect that in the real world on moving subjects it would be harder to produce the same results, though not impossible. Autofocus of course slows down as you would expect, adding to the difficulty of gaining subject acquisition, so it’s a combination to be used with care. Use the arrows on the slideshow below to see 100% crops of my infamous owl, taken at 400mm f4 and 550mm f5.6 with the built in teleconverter. This is followed by a crop at 800mm f8, using an additional TC-14EIII. 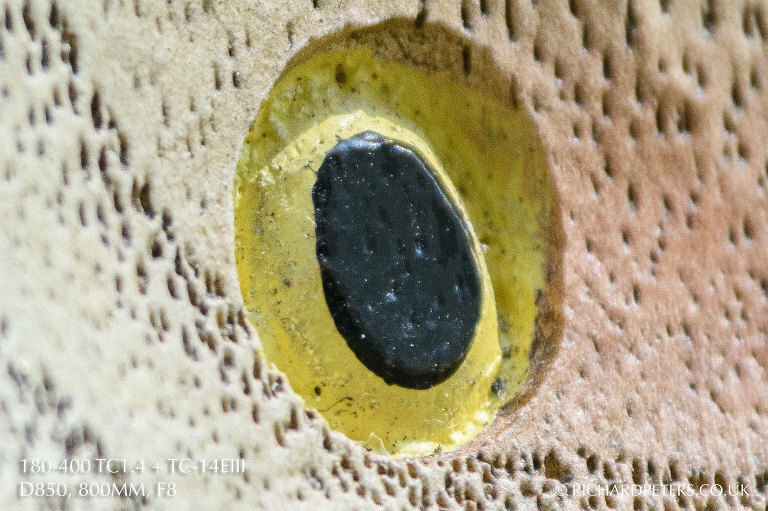 I found adding the TC-14EIII and not engaging the lenses built in TC, provided excellent results too at 550mm. Pixel peeping there was an improvement with the 180-400 built in teleconverter versus the external but that it to be expected. I can’t think of a reason you’d ever use an external teleconverter over the built in one, but there we are. Connecting these two together gives a maximum reach of 1180mm at f11. It’s not usable for wildlife. Autofocus and image quality suffer substantially, as you would expect. The 180-400 offers four stops of shake combating reduction and is exceptionally quiet in operation compared to the older system in the 200-400 VR. Actually with both lenses side by side at home, I had to double check the VR was switched on with the 180-400 when I was taking some test shots. Top tip, make sure you use the Sport mode if you’re tracking a subject. It detects the direction you’re moving the lens and doesn’t fight against you. When you’re shooting a relatively static frame, the Normal setting corrects for a larger range of motion from all directions at once. Pushing this far down the review may make you think there isn’t much to be said for the focus of this lens. You’d be wrong though, as it is another area where it vastly improves on the older generation it replaces. The previous 200-400 lenses were not the fastest to focus. At f4, they were already at a disadvantage and I just never found them good for fast subjects. Add a teleconverter to the old lens and forget it. The 180-400 TC1.4 focus speed is a marvel in comparison. At f4 it is very very fast. It’s not on par with a f2.8 lens but it makes the old lens feel more like a f5.6 optic. Engage the teleconverter to f5.6 and although it slows a little, especially in lower contrast light and subjects, it still feels far quicker than a traditional f5.6 lens such as the smaller cousin that is the 200-500. 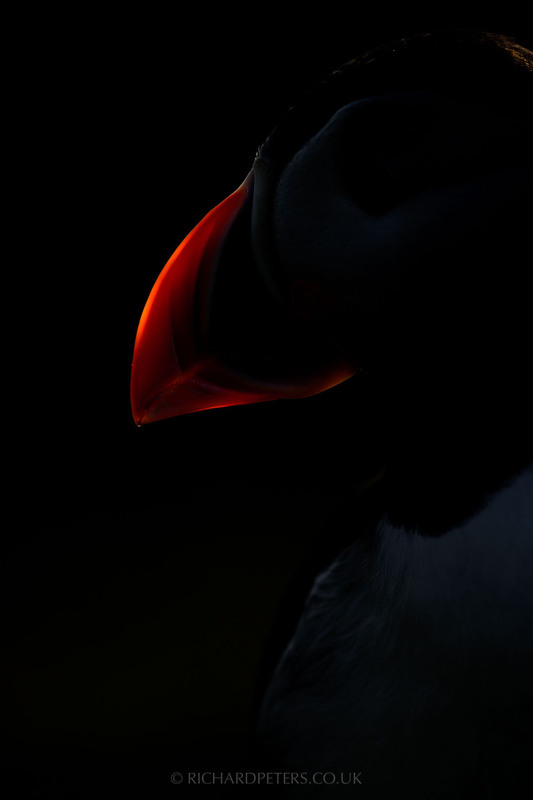 I was actually (just about) able to track puffins in flight on Skomer island, despite less than optimal conditions. Something I could never really manage, even in good conditions, with reliability on the older lenses. Back in the day, circa 2007, there was roughly a £2k price difference between the old 200-400’s and the 400, 500 & 600’s. Now, everything is a lot more expensive and that price gap is gone. But don’t forget, the optical issues and autofocus speed have been addressed. Plus, there’s a built in teleconverter now. So for those who the lens targets, be it professional or serious enthusiasts (who may well outweigh the professionals! ), whether we like it or not, performance to price-wise, the 180-400 rightfully sits alongside its fast prime brothers, comfortably holding its own. The 180-400 TC1.4 vs 400E FL, which should you choose? Since the 180-400 was announced, I have received a lot of emails and had a lot of guests on workshops asking me which would be the better choice of the two. Given my favourite lens of all time is my 400 E FL, you’d expect my answer to this question to be heavily biased. It’s not. Those who know me will know I always try to apply level headed logic to my advice. Just because something works for me, I am very aware it doesn’t mean it works for you. Do you prefer the ability to quickly alter the subjects size within the frame, and the flexibility of composition that brings? It really is that simple. I can’t tell you which is right or wrong, because only you will know which of the above two points applies to you the most. The 400 does work well with teleconverters but as you can see, it is larger. If you do favour flexibility, there is simply no other lens on the market that offers it with the performance the 180-400 gives. Verdict. It can’t be denied, the Nikon 180-400 TC1.4 is the best telephoto zoom lens, period. I was always going to like this lens. It is very impressive. What Nikon have done with the 180-400 is improve on the heritage with a huge leap forward. Much like they did with the D850, they’ve hit another home run. Ok so it’s not cheap but it was never going to be. It’s important we move on from that and look at this lens for what it is. And that is a flagship zoom lens designed to provide no compromises on flexibility and quality, for those who need it, to get the job done. For wildlife photographers, that flexibility is very hard to give up once you’ve experienced it. With wildlife you often don’t have long to react to a subject. Being able to zoom in or out from 180mm and 550mm in an instant, could be the difference between getting the shot or not. I’ll say it, the Nikon 180-400 TC1.4 is the best telephoto zoom lens ever made. It’s faster than ever, more flexible than ever, sharper than ever and easy to travel with. Topping that off, its perfectly laid out controls cement the fact that whilst Nikon didn’t do the built in teleconverter zoom lens first, they did do it better.